Ron Francis: "Eric Staal's Future Depends on Our Budget"
Ron Francis: “Eric Staal’s Future Depends on Our Budget” Huh? In the interviews following his being named the new GM, Francis reiterated more than once that, “Everyone would be looked at.” Of course we all surmised that comment was a precursor to the inevitable firing of Coach Muller. And we were right. So what can we take away from Ronnie’s latest verbal salvo? If we take it at face value, we can be fairly confident that Capt. Eric will be around for another year. It is unlikely that Francis would wheel and deal unless he got some pretty hefty returns in exchange for getting rid of the face of the Hurricanes. The ‘Canes are in fairly decent shape when it comes to the salary floor and ceiling, so it just would not make a lot of sense to dismiss Eric Staal, unless there was significant value to be gained. For my money, Francis’ statement was an attention-getter. Things have been fairly quiet of late around the PNC Arena, and perhaps Ron just wanted to remind everyone that he still has that axe. Maybe he wanted to gauge fan reaction to the thought of Eric being gone. 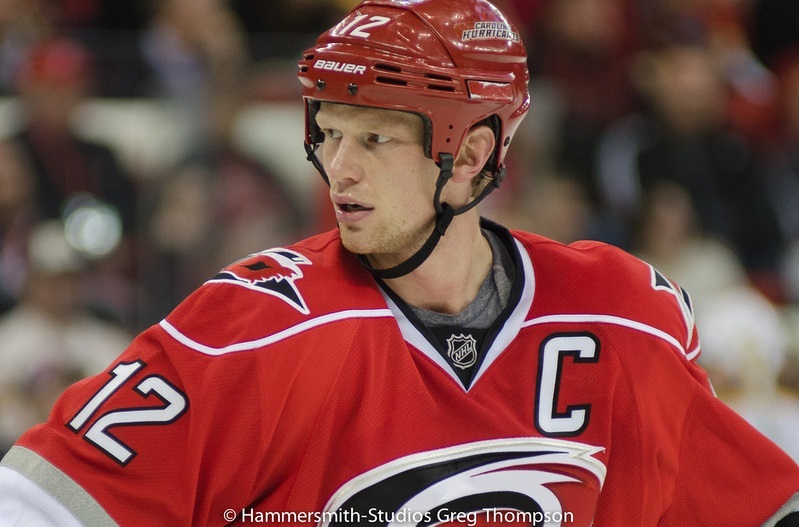 Eric Staal is the face of the Carolina Hurricanes. He has been for years. He has enjoyed an incredible run here in Carolina. He was the face of their success, but now the face attached to negative fan reaction at the team’s absence in the NHL playoffs. He is the face of “the core” that has successfully run through the last three coaches. It has been widely intimated that Coach Muller tried to fit Eric Staal into a mold for which he was not suited and that Staal possibly came back too soon last season before his injury was completely healed. With those factors in mind, I think ultimately Ron Francis will give the Captain another year. Francis has not yet hired a head coach. It is unlikely that he would get rid of the team’s star player before a new coach is in place. But it is becoming eminently clear, that Ronnie is in charge.